More than just the space where we cook and eat, the kitchen is also the spot where all the action in the home takes place. Think about it: we live in our kitchens. It is where we entertain guests, chat with friends, and gather with family on a Saturday morning. No wonder it’s called the heart of the home. 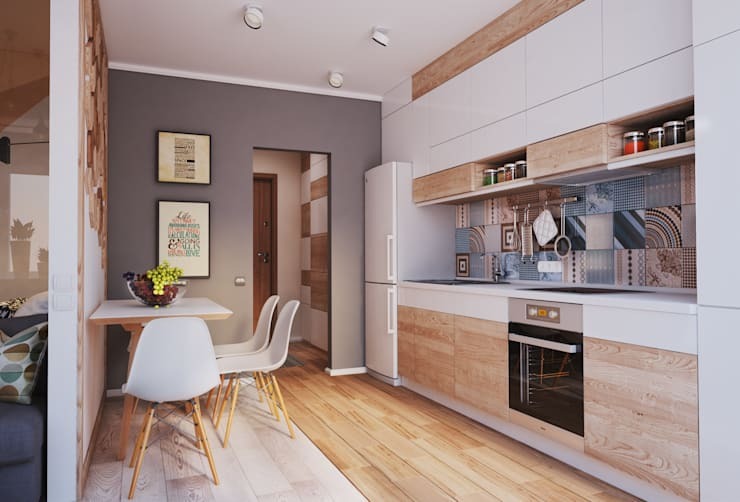 But like all spaces, the kitchen can fall behind in terms of style and beauty, which means some planning on your side to freshen up its look. But not to worry, as the ideas that we’ve gathered for you will cost less than R1,000 (you could even combine a few and still come in under budget). 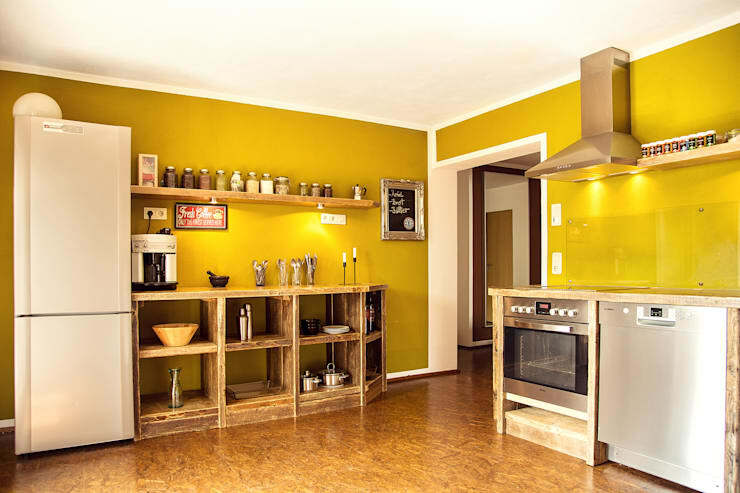 So, let’s see some quick and affordable makeover ideas to keep your kitchen looking stylish and inspiring! If your kitchen’s basic condition is still good, you can add some fine touch-ups in the form of cabinet handles. Switch them out with some new, inexpensive ones. Sleek handles in neutral/shiny tones will give a modern feel to the room, while wooden or distressed ones will ensure a country/rustic look, as shown in our rustic kitchen above. 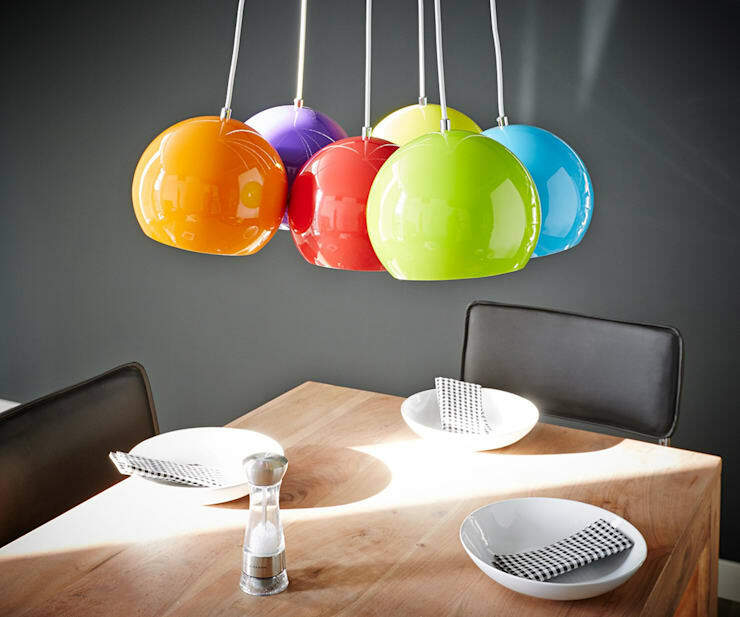 If your kitchen lighting is dim, then change it. Switching out an overhead light fixture is much easier than it sounds, and it doesn’t need to be super expensive either. 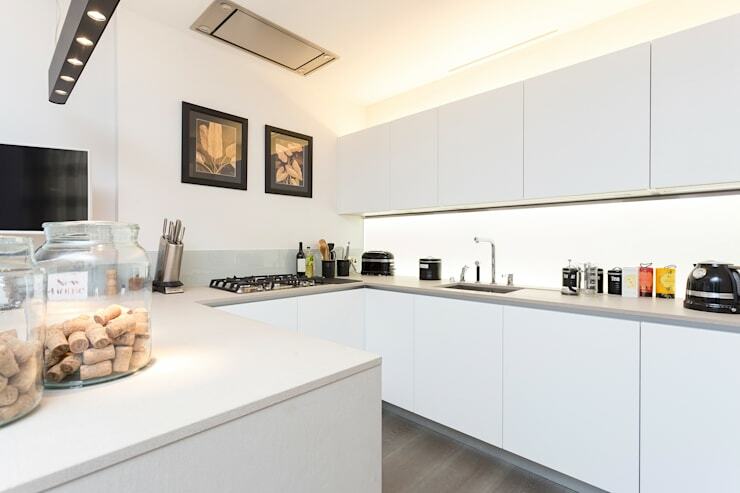 And a word to the wise: under-cabinet lighting can make a world of difference to any kitchen. 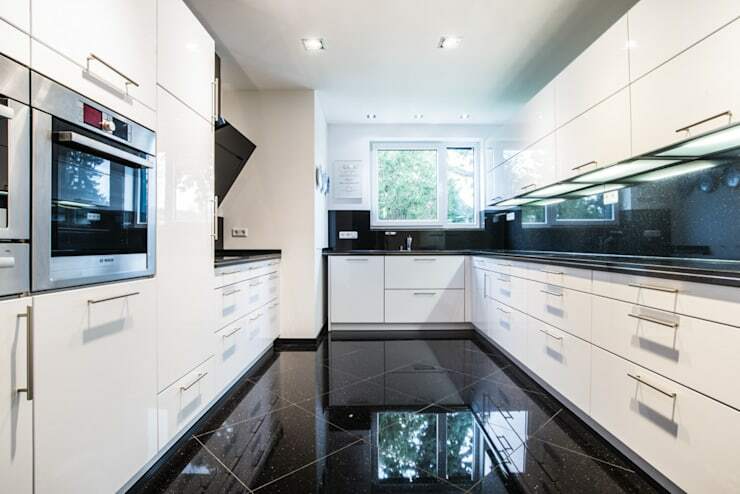 homify hint: Plan your lighting ahead of time and upgrade it at the same time you’re doing any electrical work. If not, you’ll have to bring the electrician back, costing you a lot more. 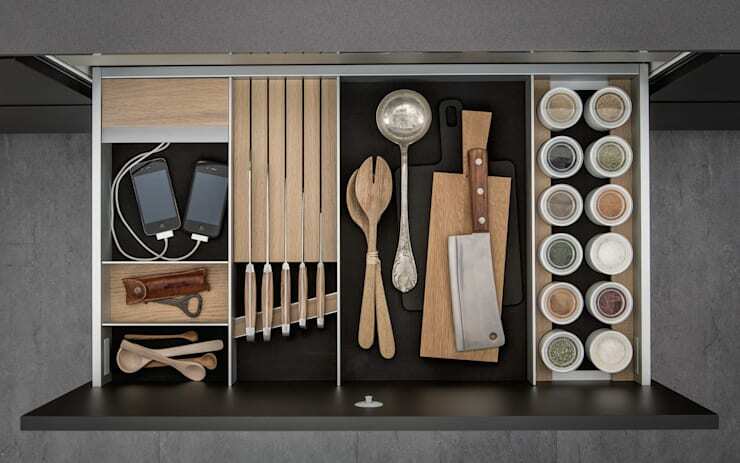 When was the last time you changed those shelf/drawer liners? Do you even have any? Laying down a fresh non-stick liner also gives you the opportunity to take everything out of those cabinets (maybe even get rid of a few space-stealing culprits), and clean the cabinet/drawer so you start out fresh. 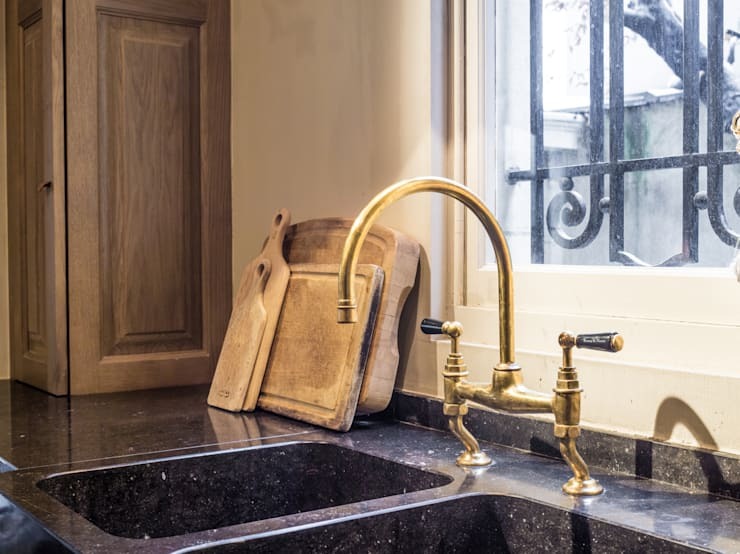 Yes, faucets can get pretty pricey, but you can also find some exquisite designs that fit neatly into your budget—that's part of the fun of shopping around! Consider this a small investment for something you use multiple times a day. If you don’t have the luxury of a dishwasher, it makes a big difference to have a reliable dish rack – not to mention how nice it looks while sitting on your countertop. You’d be surprised at how a thorough cleaning of dirty grout can make your kitchen seem brand new. The simple, subtle lines between tiles may seem pretty bland, but the change is definitely remarkable. After cleaning out the debris, apply some special grout paint with a toothbrush to brighten it up. Make sure to wipe up any excess paint that gets on the tile itself. 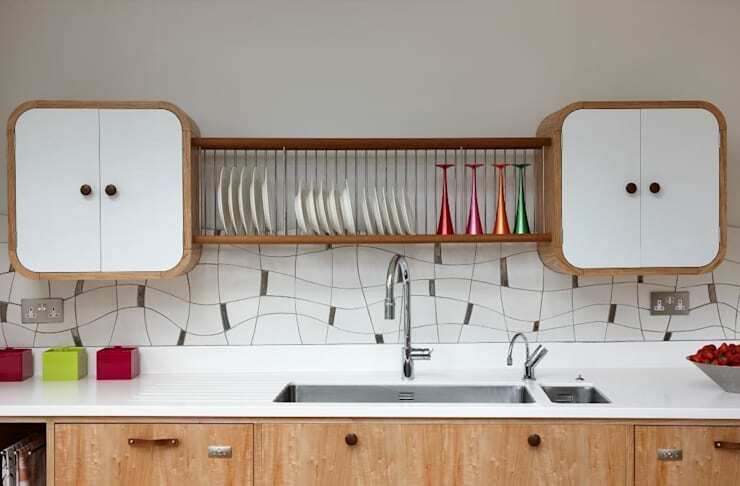 Creating your own kitchen backsplash brings character and style into the room. And since that backsplash doesn’t take up a lot of space, it won’t eat up too much of your budget. Express yourself with paint, tile, wallpaper, or framed prints or photos. Should you opt for wallpaper, accent with tile behind the sink or above the range to avoid water- or food splatters. Make your already pretty kitchen pop with some fresh paint. But may we suggest using satin or semi-gloss paint for those walls? It will stand up to scrubbing much better than a flat finish. Wallpapering an entire room can cost a lot; wallpapering a portion of one wall doesn’t have to. Pick a spot that you know gets a lot of attention/action, and add some colour and vibrancy. But make sure you opt for wallpaper that is specially designed for the kitchen so it is heat- and steam resistant. 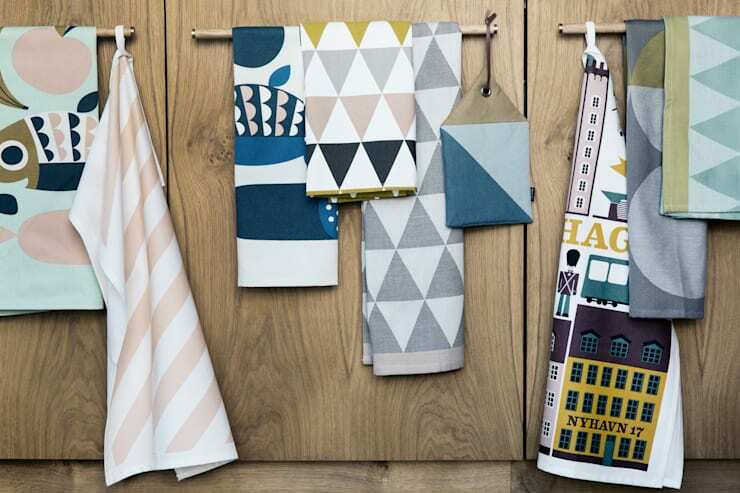 From new seat cushions to stool coverings, and from window curtains to new textiles and linens, new fabrics can work wonders for your tired-looking kitchen – and they don’t have to cost you an arm and a leg. Treat your kitchen to some personality and bring in eye-catching wall art. For maximum effect, display it against a cool white backdrop and opt for pieces that show off colours that can be picked out in your accessories. Vary the way artwork is displayed by hanging some on the wall and propping other pieces casually against it (or on your countertops) for an informal feel. 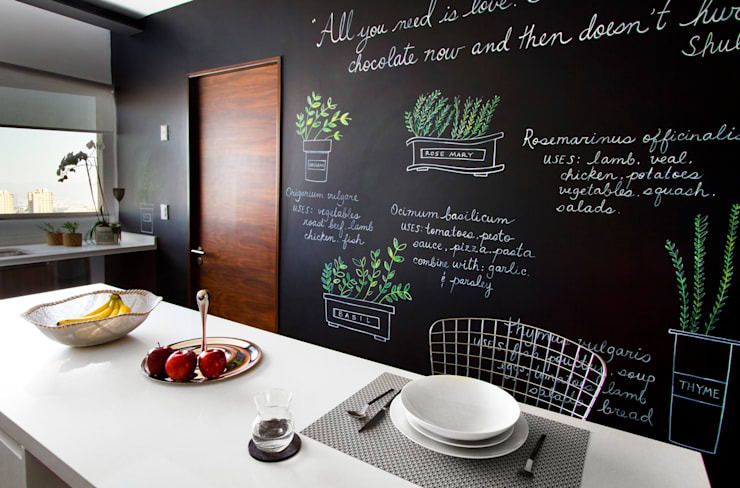 Whether you install a cheap chalkboard on a kitchen wall or opt for painting one instead, a chalkboard space is like a piece of wall art that changes whenever you want it to. Use it for shopping lists that are amended regularly, or draw up a calendar. Or give the kids some colourful chalk and let them have a go at it! Kitchen islands are expensive, but yours doesn’t have to be. Consider converting an old table or dresser into a stylish alternative. Add a countertop, new hardware, and cup hooks for hanging storage (all of which you can find for bargain prices, especially if you shop at thrift stores and flea markets), and you have a handy new multipurpose piece of freestanding storage. The best part? Unlike regular kitchen islands, you can easily move yours out of the way should your kitchen require more space. 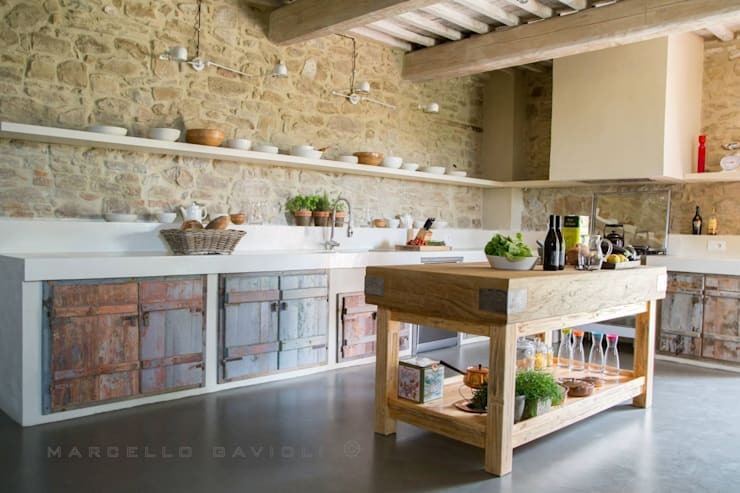 Want to feed your kitchen-island inspiration? 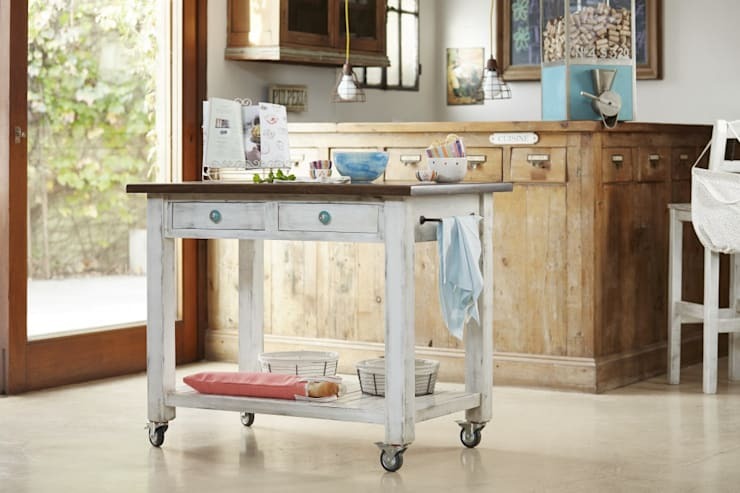 Then let’s take a look at: Kitchen islands to treasure. So, which of our suggestions will you be trying out on your kitchen back home?